"Happy Thanksgiving Day To All Canadians"
You know who you are. Sorry, but those from the States will need to wait until next month. #1. "RE: Happy Thanksgiving Day To All Canadians"
#2. 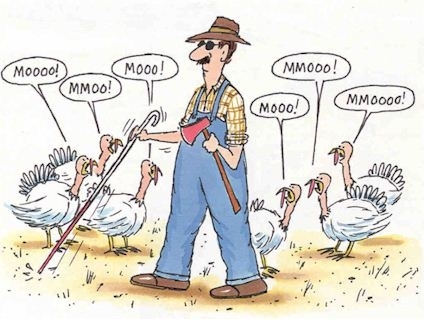 "RE: Happy Thanksgiving Day To All Canadians"
Sounds like some pretty smart turkeys on your post.